The extension had been planned to connect Wyndham with another HHHunt project across the county line in Hanover. The developer behind Wyndham and a planned community next door is resuming its legal fight with Henrico County over a disputed connector road – this time with legal backing from state real estate trade groups. 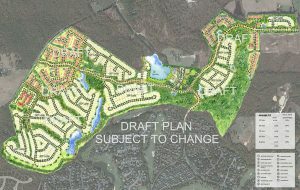 Blacksburg-based developer HHHunt is petitioning the Supreme Court of Virginia to hear an appeal challenging a judge’s ruling in March that upheld the county’s removal of a planned extension of Dominion Club Drive – a road HHHunt has said is essential to develop a new project next to Wyndham in Hanover County. HHHunt on Monday filed a petition for appeal with the court, which it anticipates will consider the request in December. If the petition is granted, the case would be heard in 2019, according to a statement HHHunt released Tuesday. The petition was filed with supporting arguments from attorneys for the Home Builders Association of Virginia and the Virginia Association of Realtors, which contend the March ruling by Henrico Circuit Court Judge Charles Maxfield has far-reaching implications on constitutional rights, vested property rights and the state’s real estate industry. The statement quotes Preston Lloyd, who is representing HHHunt with fellow Williams Mullen attorney Joseph Pope, and John Foote of Prince William-based law firm Walsh, Colucci, Lubeley & Walsh, legal counsel for the associations. Copies of the petition were served to the Henrico attorney’s office, which has 21 days to file a response. Deputy County Attorney J.T. “Tom” Tokarz, who led the county’s defense against HHHunt’s lawsuit, said the office would “vigorously defend” the lower court’s ruling in favor of the county. 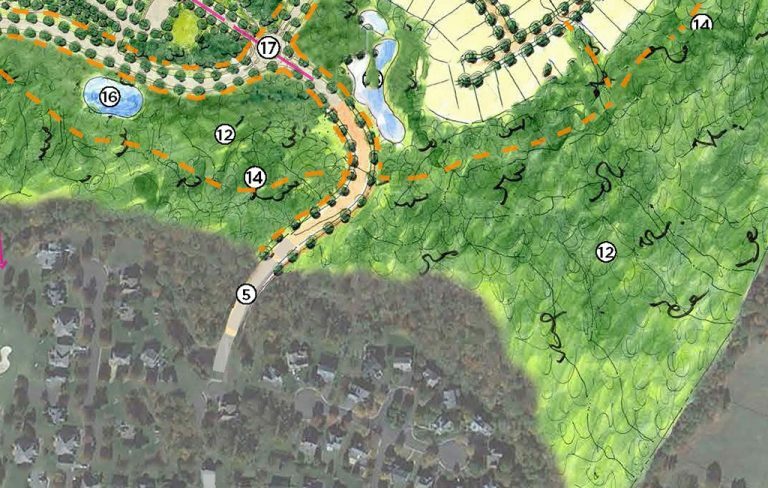 HHHunt sued Henrico and its board of supervisors in December 2016 in response to the county’s removal of a portion of Dominion Club Drive from its future roads plan, preventing HHHunt from extending the road and connecting the two developments. Richmond law firm Hirschler Fleischer represented HHHunt in that case. The action followed complaints from Wyndham residents, who, according to the petition filed Monday, rallied county supervisors to stop construction of the road with phone calls and a petition with more than 2,200 signatures. In recommending the removal of the road, county officials contended the size of the Hanover project had ballooned beyond what was previously envisioned for the road. HHHunt has been planning a 366-acre development on land that includes the nearby Hunting Hawk Golf Club. The age-restricted community for residents 55 and up would consist primarily of single-family detached homes and duplexes, and include an assisted-living facility, a restaurant and possibly a farmers’ market, according to plans filed with Hanover. The petition for appeal states HHHunt has invested more than $27 million in public infrastructure improvements related to Wyndham, one of several master-planned communities the company has developed in Henrico. 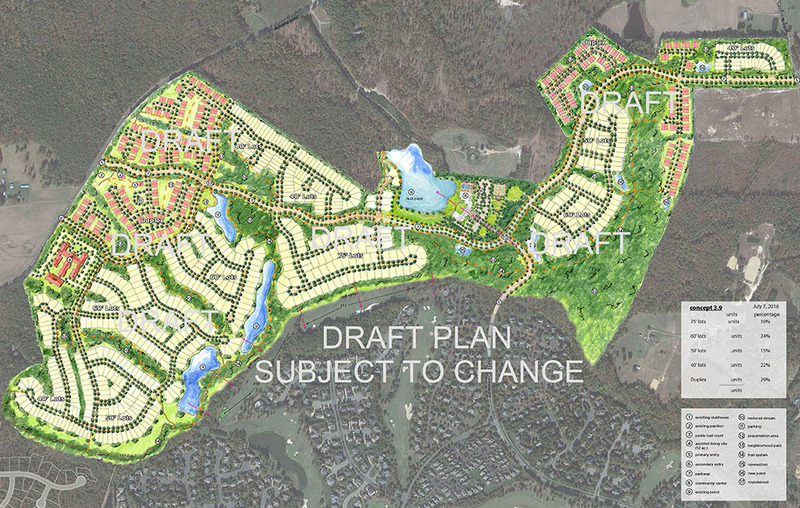 The 1,100-acre development is just north of Short Pump. The petition also challenges the court’s ruling that public opposition is a legitimate reason for removing the road, among other arguments. Dennis Berman, president of The Wyndham Foundation Board of Directors, said he made the board aware that the petition had been filed and was reserving comment until the court decides whether to hear the appeal. HHHunt’s other developments in Henrico include Wellesley, Twin Hickory and the under-development River Mill. Other Richmond-area developments include Charter Colony in Chesterfield County. Kim Kacani, president of HHHunt Communities, deferred comment on the petition to the company’s legal counsel. Lloyd, the Williams Mullen attorney who also serves as general counsel for HBAV, declined to comment beyond the statement and petition. Andrew Clark, vice president of government of relations for HBAV, said in an email that the group is “proud to stand with HHHunt and others in the real estate industry on this case. “At the center of this case is one developer and one locality – but the issues raised in the petition for appeal have significant statewide implications for the residential land development and construction industry, as well as the broader economic and community development community,” Clark said. 2 Comments on "HHHunt wants to take battle with Henrico to state Supreme Court"
If the courts don’t act in the best interests of the surrounding public, then who’s interests are they acting on? Henrico had better not bow to the developers, and the court system needs to take public opinion into account. The courts exist to serve the all of people. Not just the wealthy developers. The elected legislators do that. The courts are only supposed to rule on the existing laws and how the parties are or are not following them. Public opinion should have no affect on the courts’ decisions. Anyone (including the wealthy, the poor and the localities)) should be forced to follow those laws. Anyone (including the wealthy, the poor and the localities) should be able to take their case to court to insure that they are treated equally, regardless of public opinion.